Roland's FA series completely reimagines the music workstation, streamlining it for effortless real-time power, ultra-fast workflow, and maximum versatility. Each model in the series features a massive sound collection, studio-quality effects, and expressive real-time controls, plus onboard sampling with zero load time for instant playback from 16 pads. An integrated sequencer offers simple operation and non-stop loop recording, and you can easily export tracks for further development with your DAW. 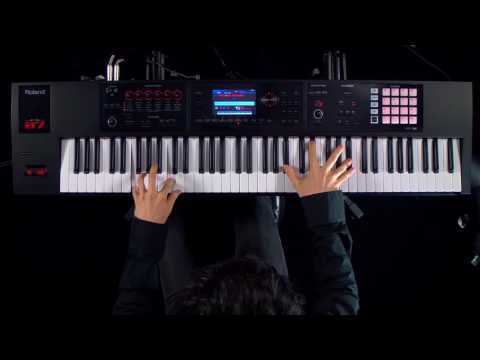 Available models include the 61-note FA-06 and 76-note FA-07, which both feature velocity-sensitive keyboards with synth action, and the FA-08, which features an 88-note keyboard with weighted action. Music workstations play an important role for keyboardists in a wide range of creative activities. However, they can often be complicated and difficult to use to their full potential, bogging down the creative process. In developing the FA series, Roland has completely reimagined the music workstation to let your inspiration flow, allowing you to perform on stage and develop musical ideas with less effort than ever before. Perform and record with a massive selection of Roland's very best sounds. Packed with over 2000 tones inherited from the INTEGRA-7, Roland's flagship pro sound module, the FA series offers a huge palette of high-quality sounds for virtually any musical style. All of the INTEGRA-7's SuperNATURAL synth and XV-5080 PCM tones are on board, plus an essential collection of expressive SuperNATURAL acoustic tones that include pianos, organs, bass, strings, and many others. And with the newly added Tone Remain function, you can switch sounds seamlessly with no notes or effect tails being unnaturally cut off. Expand your sound collection with free downloads from Roland's Axial sound library site. The FA sound engine is fully compatible with the large, collection of INTEGRA-7 synth patches available as free downloads from Roland's Axial sound library site. It's even possible to expand the onboard sound set with free EXP wave sound expansion collections, which you can also get at the Axial site. Eleven great titles are currently available, including the newly released EXP-11 Analog/Digital Vintage Synth Collection. Capture ideas and create songs without interruption. 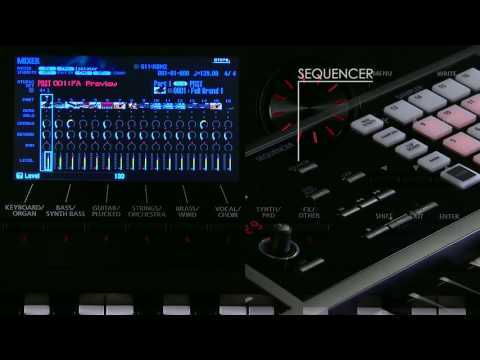 The FA series' intuitive 16-track sequencer has been designed to let you capture your inspiration as it happens. 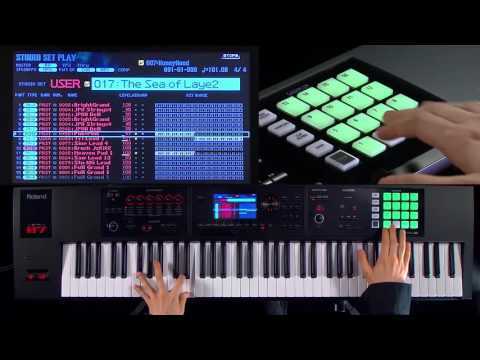 In a flash, you can build a full arrangement with the instrument's huge array of sounds. And with continuous recording in loop mode, you're able to fill up all 16 tracks without ever stopping! In addition to real-time capture, step recording is also possible, and you have complete control to edit and mix your tracks as you go and save songs as stereo audio files to an SDHC card. Enhance your sounds with a wide range of simultaneous effects. The FA series provides numerous options for polishing your sounds and sequencer tracks to studio-level perfection. Independent MFX engines are available for all 16 parts of a studio set, and with the unique TFX (total effects), you can process the entire output with dramatic effects such as DJ FX Looper, Isolator, and others. All the effects can be tweaked with the Sound Modify knobs to add real-time expression to your performances and productions. Fast workflow and intuitive real-time control. You can feel the speed of this new breed of instrument the moment you hit the power switch-unlike many workstations that can take a minute or more to boot, the FA series is ready to play in seconds. The panel is logically organized into dedicated sections, and the large color LCD presents a gorgeous look with inviting hi-res graphics for selecting tones, working with the sequencer, and adjusting various settings. And it's a breeze to navigate through the large sound selection by category and assign your favorites for fast recall. 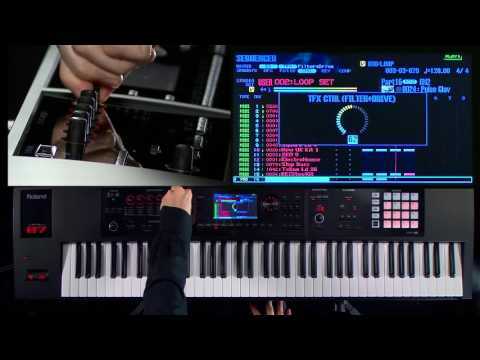 An instant-access performance sampler at your fingers. 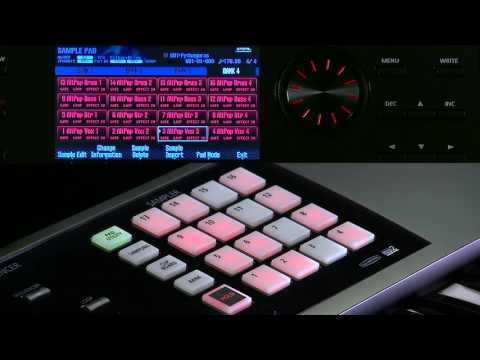 The sampler in the FA series features fast, hands-on operation and sampling/playback via convenient SDHC cards. You can play audio samples directly from the 16 pads on the front panel, making it easy to expand your performances with loops, backing tracks, one-shots, vocal phrases, sound FX, and more. And thanks to SDHC flash memory, your samples load instantly, with no wait time at all. Studio sets enhanced for master rig control. In the FA series, a studio set stores 16 tones and the various parameters associated with them, including level, pan, effects, and more. Now, master control functionality has been added to studio sets, enabling you to use the FA as a master controller for a large studio or live rig. You can save MIDI messages like bank select, program change, volume, and many others. This info is sent out via MIDI when you select the studio set, letting you reconfigure the FA and multiple external devices with one command. In addition to its impressive standalone performance, the FA series easily transitions into any DAW environment. With a press of the DAW Control button, you can instantly set up the keyboard to communicate with your software via USB. * Dedicated control maps for popular DAWs provide quick setup for operating transport functions and other parameters in your software. In addition, you can use the FA as a USB audio interface to record a variety sources directly into your DAW and monitor them through the stereo output and headphones jack. A free license for Ableton Live Lite is now included with every FA keyboard, enabling you to pair up your instrument with a powerful DAW right away. Find the best FA for you. With the three different models in the FA series, you can choose the best match for your style and needs. While the three models feature the same sounds, interface, and controls, each one comes equipped with its own unique keyboard configuration. If you're serious about piano sounds, the FA-08 is the perfect choice. Its 88-note, weighted-action Ivory Feel-G keyboard is ideally suited for pulling every expressive nuance from the authentic onboard acoustic and electric pianos. If you need to command a complex keyboard setup with multiple splits or zones, the 76-note FA-07 and its semi-weighted, velocity-sensitive keyboard is a great option. Do you have limited space in your studio, or need to transport your keyboard to gigs and recording sessions often? If so, the mobile FA-06 and its 61-note velocity-sensitive keyboard is a smart choice. Reimagined music workstation with 88-note Ivory Feel-G Keyboard. Roland's powerful FA series streamlines the music workstation for effortless real-time power, ultra-fast workflow, and maximum versatility. Equipped with an 88-note weighted-action keyboard, the FA-08 provides authentic feel and response for piano-based performers. Reimagined music workstation with 76-note semi-weighted keyboard. Roland's powerful FA series streamlines the music workstation for effortless real-time power, ultra-fast workflow, and maximum versatility. The FA-07 features a 76-note velocity-sensitive keyboard that's semi-weighted, offering great feel and expanded range for complex live setups with multiple splits and zones. 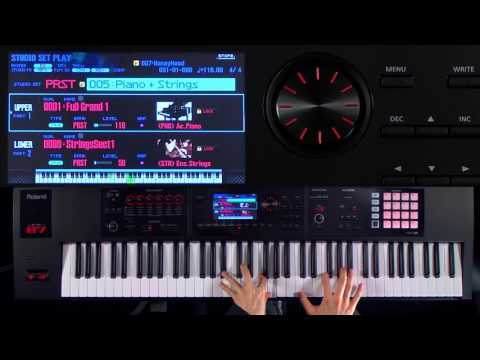 Reimagined music workstation with 61-note velocity-sensitive keyboard. Roland's powerful FA series streamlines the music workstation for effortless real-time power, ultra-fast workflow, and maximum versatility. Featuring a traditional 61-note velocity-sensitive keyboard, the FA-06 is the most compact and mobile instrument in the FA series. * The wave expansion slots are rewritable internal waveform memory. You can download data from the Axial sound library site and write it via a USB flash drive into the FA's internal wave memory (slot). * Sampler trigger data can be recorded. * Samples cannot be used as wave data for the sound engine. 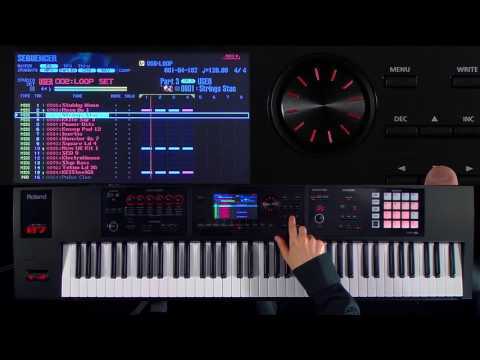 Do you own Roland FA-07 or have you had a chance to try it?